The ongoing, tiresome feud between Apple and Amazon continues. The headphones will let people use their voice to order goods, access music, weather and other information on the go. The Amazon digital assistant will be summoned by saying “Alexa.” There will be physical gesture controls, such as tapping to pick up and end calls and switch between songs, the people said. According to Bloomberg, the earbuds would have some key differences from AirPods. For one, they’ll need to be paired with a device instead of connecting immediately. Bloomberg also cited sources as saying Amazon has been toying with black and gray color themes. Bloomberg said that AmazonPods or whatever we’re calling them could debut during the second half of 2019, but also cited sources as saying the company has hit a few development snags. Amazon did not immediately return a request for comment about the report. Apple recently dropped its second generation AirPods, which for the established AirPods enthusiast might be worth the nearly $200 price tag. For one, they connect you with Siri instantly with just your voice. They also boast better connectivity and battery life. But 200 bones is a good amount of money to shell out for earbuds, and it’s likely Amazon’s buds will come in at a much lower price point. There are, however, some big remaining questions about exactly how Amazon’s earbuds will work. 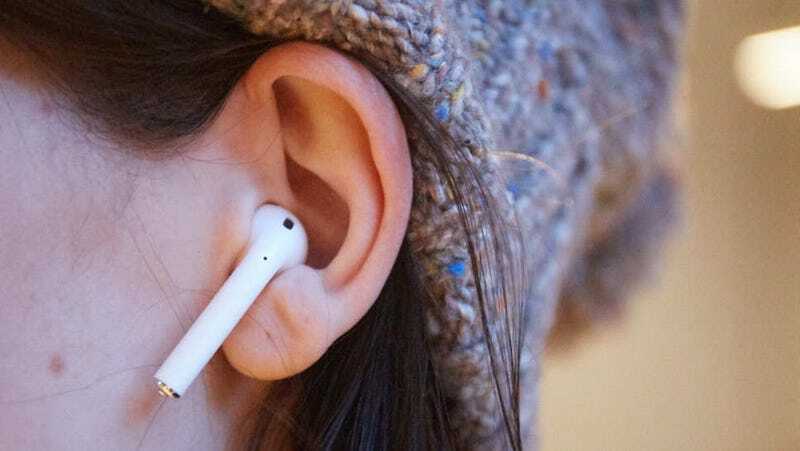 Even if it managed to pull off a cheaper alternative to one of Apple’s most popular products, it’s hard to imagine they’ll come with the same bells and whistles that make AirPods worthwhile. Here’s the other thing: Knock ’em all you like, but people love their AirPods. They are the best-selling wireless earbuds on the planet. If Amazon thinks it’s going to take on Apple in this arena, it certainly has its work cut out for it.